First a note to those impatient readers who wanted to know how I went from a pile of smoking rubble to rising like a phoenix from the ashes after The Day My Life Changed Forever. I promise I will reveal all in good time, but first I need to tell you the story of the bees. On a stifling day in the middle of the summer of 2009 (shortly before The Day My Life Changed Forever) I was feeling oppressed by the scorching heat and by an underlying fearful conviction that something was very wrong in my life. Seeking the oblivion of an afternoon nap, I opened the door to my bedroom and was astonished and terrified to find the room was filled with bees. Taking a photo was the last thing on my mind. I just took this image from The Inquisitr. Humans are biologically programmed to fear bees and given the nasty reactions I had experienced with previous stings, and my ever-present anxiety that could switch to an intense fight or flight adrenaline rush if I noticed a miniscule spider in the vicinity, the predictable end to this story would have been me running screaming from the house. But that did not happen. Something shifted inside of me as I stood on the threshold of what was normally my precious sanctuary from the world. It was a moment of grace. I felt the faint beginnings of courage and a sense of adventure stir within. As I stood there, I observed that the bees were quite listless (apparently they had recently hatched in the oven-like attic and migrated to the relative cool of my room. ), so I got a mason jar and an empty manila folder and quaking with apprehension, I approached the nearest bee. It was easily captured, and when I cautiously released it in the front yard, it dived immediately into the nearest flower. I imagined it’s joy and felt a surprising surge of loving communion with it. With each subsequent relocation, my trepidation diminished and my wonder and pride at my brave resourcefulness as well as my sense of compassionate responsibility for my new little friends grew. By the time I got to the last few stragglers, I was affectionately reassuring each one that I was taking it to a much better place and that all of it’s family was waiting for it. I had lost all fear of being stung. 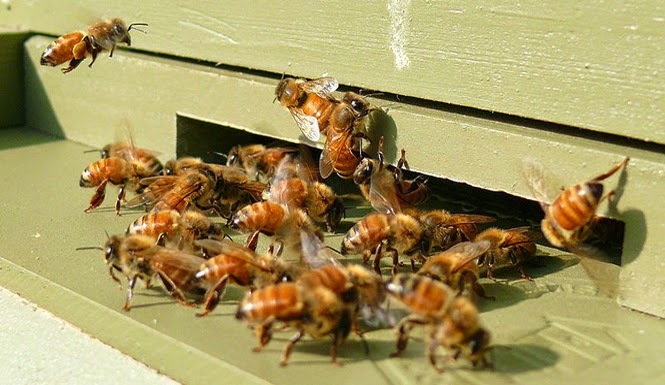 I believe that those bees helped prepare me for what was to come on The Day My Life Changed Forever and the series of major transitions that followed. I gained practice in dealing with my fears using previously unknown resources. The love I felt for those bees with their stingers that could have delivered pain, served me well as I found love for those who delivered the sweet sting of pain that I needed to leap forward into my new life. 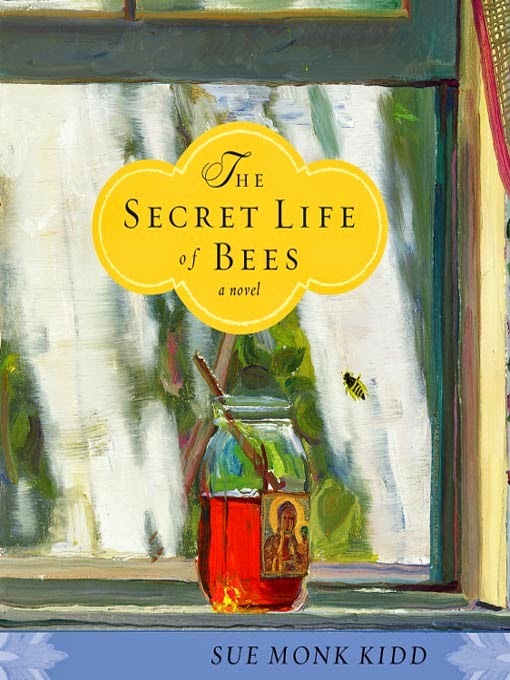 *The day after the events in this story took place, I went to the library and on a shelf of books recommended by the librarians was The Secret Life of Bees which I, of course, had to read immediately. The number of parallels to what had just occurred and what was about to happen would require a separate post. The Shamanic Way of the Bee is an incredible book that I later read after learning it was the inspiration behind the Tori Amos CD The Beekeeper which was on heavy rotation in my play list that year prior to my encounter with the bees. Hi Jan, yes, I did write it! Thank you for both your praise and your criticism. This is only my second blog entry and it is definitely a learning process, so I greatly appreciate all feedback. Just to clarify, did you mean the sentence beginning "The love I felt..." or the one in the asterisk that began "the number of parallels..." ? 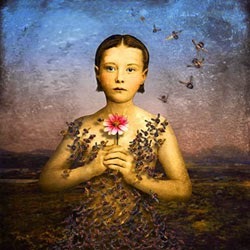 In either case, the leap that occurred for me had nothing to do with logic - which was part of what I wanted to convey! But in the interests of brevity, I probably left out some important segues that would have helped the reader make the leap with me! I love how easy it is to comment on your blog entries! If I don't want to log into an account to comment, I can just select Comment as ANONYMOUS and put my name inside my comment if I so choose. Nice. --T.G. T.G.... Hmmm who could this be? Could it be my beloved Tech Goddess?! Thank you for clarifying for those who have had difficulties leaving comments. What an empowering experience this must have been! Gwen, I'm sure you remember what a scaredy-cat I was! I remember the conspiracy to keep me from learning about the scorpion in your home when I was staying there!